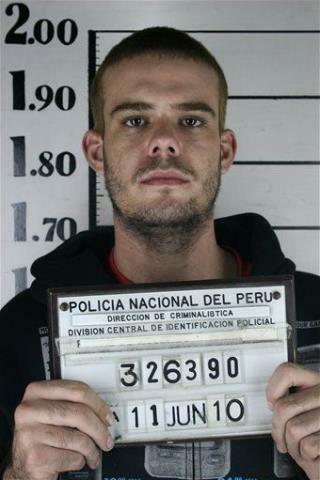 (Newser) – Joran Van der Sloot knows something that shouldn't surprise anyone: "If I had to describe myself as an animal, it would be a snake," he has revealed on YouTube. But he has higher aspirations. "I want to be a lion and one day I will be a lion," he adds. Instead, the reptile-who-wants-to-be-a-wild cat has run a Thai coffee shop, allegedly extorted money, suffered the death of his dad, and gambled professionally. Along the way, he became the prime suspect in the disappearance of one young woman and admittedly killed another. "One defender, a cousin, described Van der Sloot as seriously twisted, but with an excuse. "I think that Joran needs help," she said. "Because something is bad in his head."" How is the cousin offering an excuse? We all /know/ something is bad in his head, he murdered two people! It's not like everything can be dandy in your brain but you're still killing people. Just another entitled, arrogant @$$hole. Disgusting.